Photo by Aziz Karimov for EurasiaNet.org, creative commons. To get an invitation to this event from President Obama, he had to pardon several political prisoners. Although they have been released from jail, they remain confined within the country, barred from leaving, and justice has not been restored. This is a very costly invitation for Aliyev, who for years refused to accept international pressure or criticism on this issue. At that time, Aliyev had been buoyed by a resolution adopted during the Parliamentary Assembly of the Council of Europe (PACE) session in January 2013, which had rejected a report about political prisoners of Azerbaijan. Azerbaijan was also doing well economically, with its key crude oil export at around $100 per barrell. “I think that this chapter is closed,” Aliyev told an RFE/RL reporter questioning him on the prisoners at the meeting with confidence. Since then, Azerbaijan worked hard to stamp any reference to political prisoners out of his nation's vocabulary. The fact the country did not have any political prisoners has since become an official mantra, repeated continuously at every single international event where Azerbaijan receives criticism for its poor record on fundamental rights. At home, activists, journalists and political figures who did end up behind bars would never be sentenced based on their activism or opposition to the government. Instead, they were labeled as prisoners of all kinds but the political kind, charged with crimes ranging from hooliganism and illegal drug possession through tax evasion and abuse of power. But while authorities kept stubbornly and stupidly repeating the claim, by 2015, the list of political prisoners noted by rights groups was at around a hundred. Would authorities in Baku have adopted a different tactic if PACE had adopted a resolution on political prisoners in the country? That is an unknown, but it certainly seems unlikely that Ismayilova would have been freed from jail May 26 without concerted international pressure from Washington and the West. So perhaps, if international pressure had been stronger back when Azerbaijan was intensifying its crackdown in 2013, rights defenders like Intigam Aliyev and Rasul Jafarov and members of the N!DA youth movement might not be behind bars now. 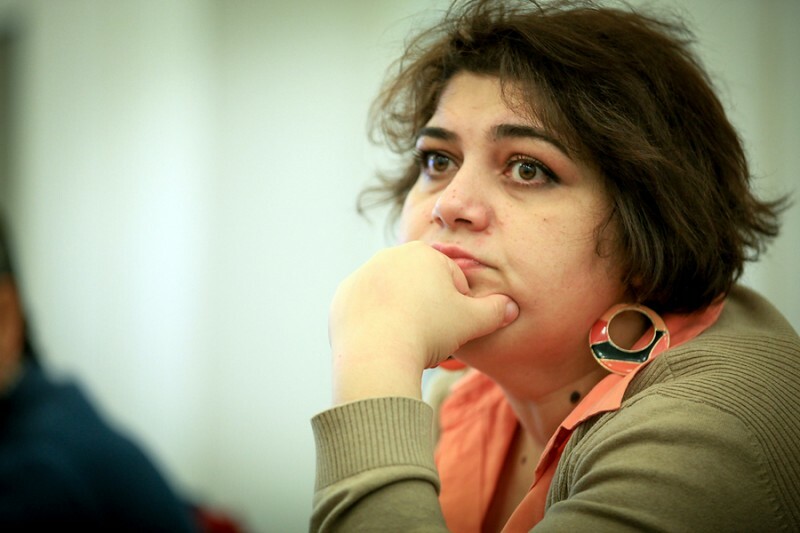 In the March letter Ismayilova further explained why the release of these political prisoners was so important. “Aliyev is shamelessly trying to use political prisoners as bargaining chips to advance his foreign policy agenda,” wrote Ismayilova. Our political system is a model of the European political system. While Khadija Ismayilova has been released, police detained a photo journalist and youth activist on the same day she left jail. Two weeks before her release two more activists were detained and reportedly tortured in detention. Another political activist was detained June 1 upon his return to Azerbaijan from Ukraine, amid plans to attend his mother’s funeral. With 70 political prisoners still behind bars, Azerbaijan is almost operating a ‘one in, one out’ policy, relaxing repression ever so slightly as it looks for loans from Western financial institutions during a period of vulnerability for its hydrocarbon-dependent economy. Those fighting for freedoms inside and outside of Azerbaijan will continue calling for the release of remaining political prisoners including journalists and bloggers Seymur Hezi, Nijat Aliyev, Abdul Abilov, Rashad Ramazanov, Faraj Karimli and Araz Guliyev as well as political activists Fuad Gahramanli and Ilgar Mammadov. The list also includes religious activists. Whether any of these people will be joining their families anytime soon is anybody's guess. Most probably their fate will depend on which prominent leaders are prepared to join Aliyev at the political prisoners poker table for another round of bluffing and raising.